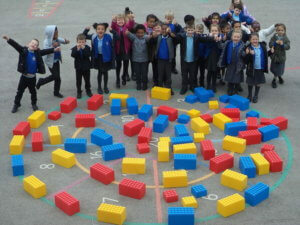 Year 1 – Artists at work! 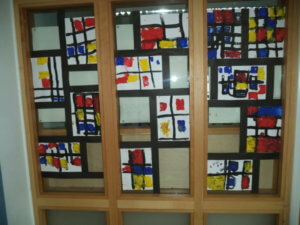 The children in Cogenhoe and Overstone have been looking at the work of Piet Mondrian. He produced a piece of artwork based on New York’s grid and traffic network. The piece was called “Broadway Boogie Woogie”. The children then had a go at making their own pictures working in his style of pattern and lines. Some art in the playground!